If you have to do a specific cleaning task around the house and you are too busy to handle it, make sure to hire our company. 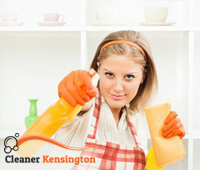 We are among the best providers of cleaning services in Kensington, offering a variety of cleaning solutions for you to save the day. Whether you need a good carpet cleaning service or you are in search of a guaranteed end of tenancy cleaning, you will find what you are looking for at our company. You and your family can rest assured all tasks will be done on schedule. Here is our phone number. Get in touch with us. Our company in Kensington is highly spoken of. As we have already helped a great deal of Londoners, they know we are worth calling. We have a full range of cleaning options for your home. If you live in lodgings, take advantage of our end of tenancy cleaning service. Its purpose is to prepare your property for new renters by sanitising and disinfecting each available surface. If you want to keep your new home in tip-top shape, use our domestic cleaning services. We cover all your household responsibilities, such as dishwashing, tidying, dusting, laundering, mopping and others. If your carpets need professional cleaning, book our carpet cleaning service. It’s a separate service and it is done in your home. There are special cleaning solutions and stain removers. We also use steam cleaning. Another separate service is our oven cleaning. We will clean your appliance at a reasonable price. In addition, we deliver spring cleaning. It covers much more tasks around the home than our domestic cleaning and it is more detail-oriented. And finally, we not only offer cleaning, but also gardening services. We are capable of making your outdoor area as beautiful as your indoor space. We use our own gardening tools. Some of the best gardeners work at our company in Kensington and you should take advantage of our services. If you need any of the services mentioned above, get in touch with us.